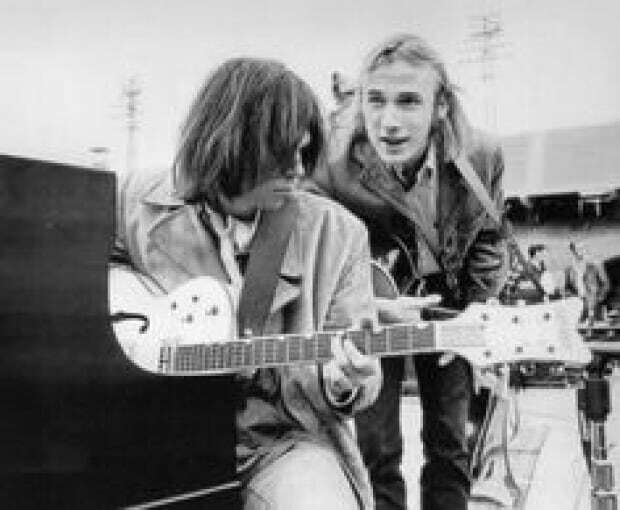 A deep rift defined the early relationship of guitar gods Stephen Stills and Neil Young. It complicated their first band, Buffalo Springfield, as well as their subsequent four headed-monster, Crosby, Stills, Nash and Young. The conflict worked to their great advantage, however, in their fiery instrumental interplay. Their dynamic came to a thrilling head on the classic CSNY live album, 4 Way Street , released in 1971. While the first disc of the double set focused on acoustic tunes, the second saw the band charge through a sustained electric foray. All the songs in the second half featured glorious solos but the greatest, and longest, could be found in 13 and 14 minute takes on Neil Young’s “Southern Man” and Stills “Carry On”. Throughout each, the guitarists thrust and parry, using their instruments as emotional swords. Stephen Stills would spin a dominant solo over the riff while Young would answer back with sniping licks. Then they’d reverse those roles. At times, the players chime, at others clash, creating a play of synchronicity and tension as compelling as a pas-de-deux. this is just such a great take of one of Neil Young’s classic songs taken from the “After The Goldrush” Neil’s solo album the band do a incredible version pure to the original.